Every year, Lakhs of candidates appears for SSC CPO SI ASI exam but very few of them are able to clear the cut off marks prescribed for the posts. 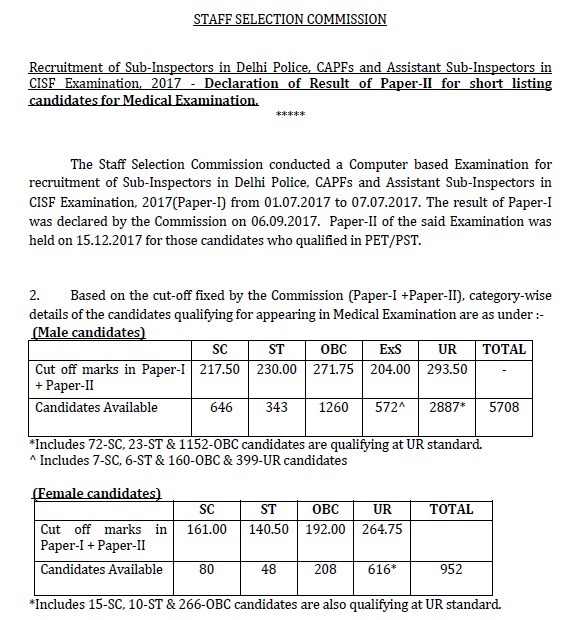 Those who want to qualify SSC CPO exam should know what is the cut off score to qualify the test. So to help those candidates, here is the analysis of Last years cutoffs. 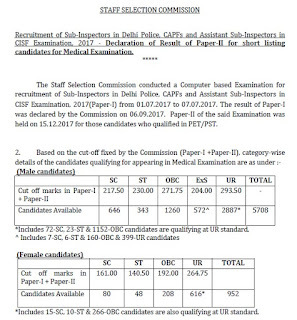 For those candidates who want to qualify SSC SI ASI exam should know what are the cut off scores they have to clear. They should know what is the minimum scores they have to get in SSC CPO exam to qualify the exam. The final cut off marks of SSC CPO SI 2014 exam can be downloaded from below given link.